Brass and Copper homewares can be a stunning addition to your mantelpiece or living room, as they offer some much-needed sparkle to the space. 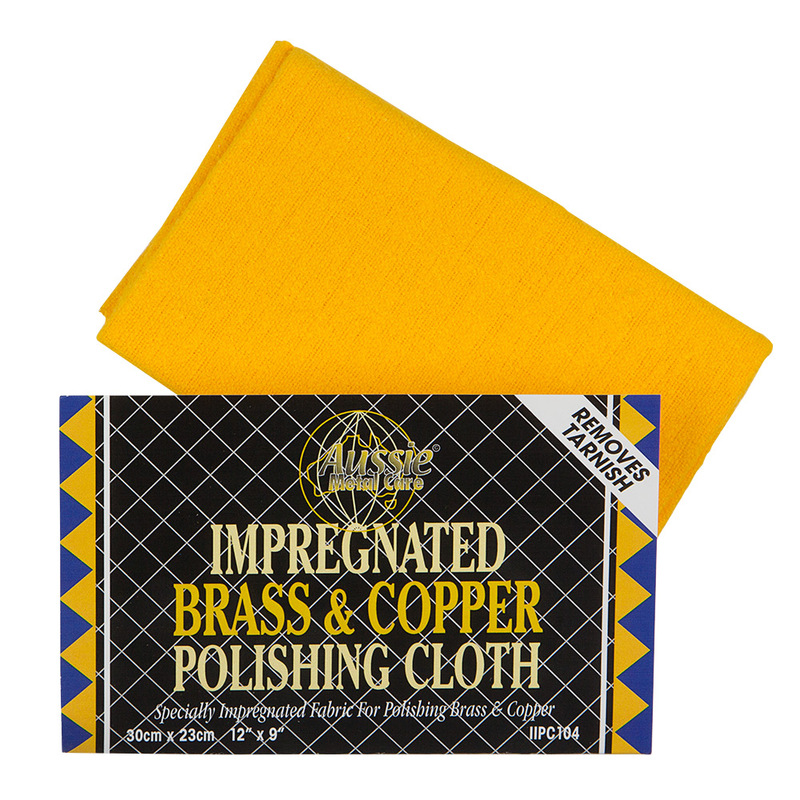 With Aussie Metal Care’s Brass and Copper Polishing Cloth you’ll never have to hide your brass homewares away. It’s designed to remove tarnish without the need for harsh chemicals or messy polishes, and gives you superior results every time. All you need to do is polish the surface of the brass using the unique cloth to restore your brass to its former gleaming glory! Let your brass and copper homewares shine once again. Made from specially impregnated fabric that perfectly polishes brass and copper. Removes tarnish without the need for messy chemicals, dips or sprays. Gently rub over the surface of your brass or copper to remove tarnish and to add a sparkling shine. Prevents residue from staining your hands.